Today is the last Wedding Featurette! 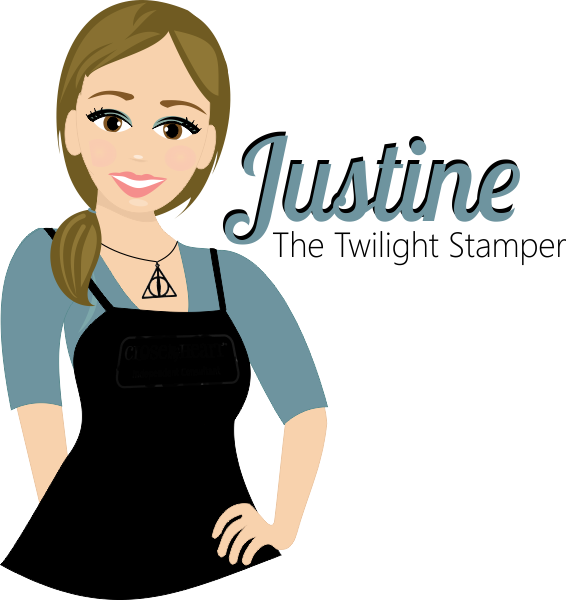 During the last three weeks, I focused on making simple, elegant, customizable things for your wedding that do not require many tools and are inexpensive to make. Don't forget to check out the other two posts. Click here to see Wedding Invitations and Save the Date Cards. Click here to see the Bridal Shower Invitations, Goodies and Thank you Cards. Today I am focussing on menus, place cards and the final thank you cards. You can make these in minutes! 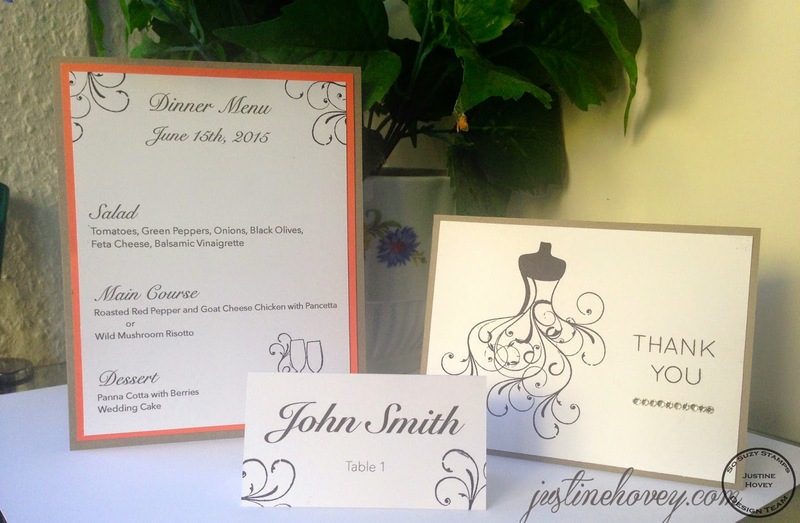 All you need is a computer, stamps, some black ink and cardstock in your wedding colours! Menus are easy to create on the computer. Print them out and frame them with your wedding colours! 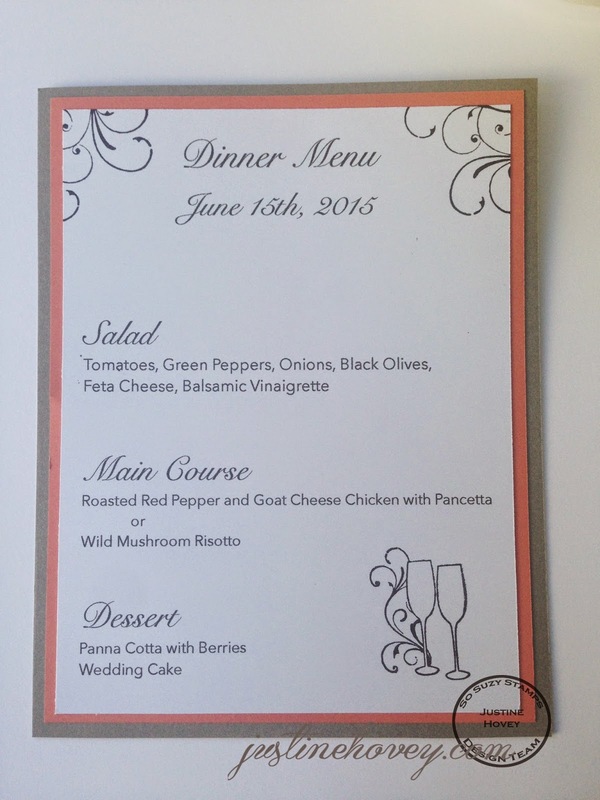 I stamped the Wedding Dress stamp in the corners and the Glasses on the bottom right side! 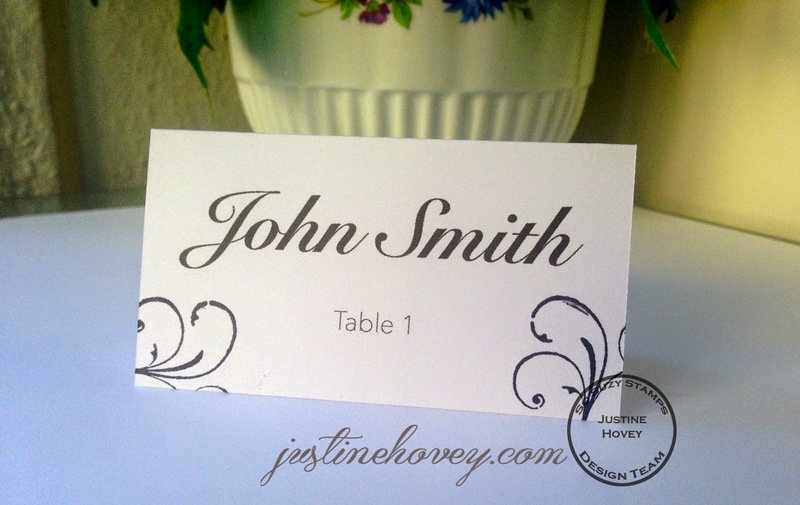 For place cards, print out the names and table numbers of your guests. Cut them out (4x4) and fold at 2 inches. Stamp the Wedding Dress Stamp in the corner. This thank you card could not be easier! Just stamps the wedding dress and Thank You, add some sparkled and mount it on a card base. I will show you how to do all three projects in this video! Here is the supply list! Ladies who are planning to get married soon and organize a wedding, I think you should see the wedding game for kids article. Do you have any ideas for games for kids? Now I understand that it is an important part of any wedding ceremony. I liked that article; it’s bright and inspiring, maybe you have other favorite resources? Please share.